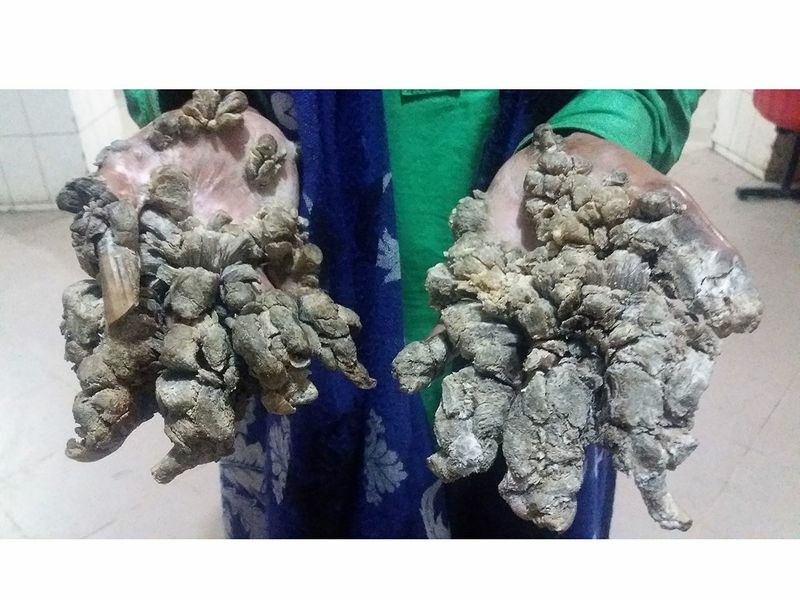 It is believed fewer than half a dozen people worldwide have "tree-man syndrome" - epidermodysplasia verruciformis - but the condition is particularly aggressive in Abul Bajandar, who has already undergone 25 bouts of surgery since 2016 to remove the greenish-grey gnarled protuberances from his skin. 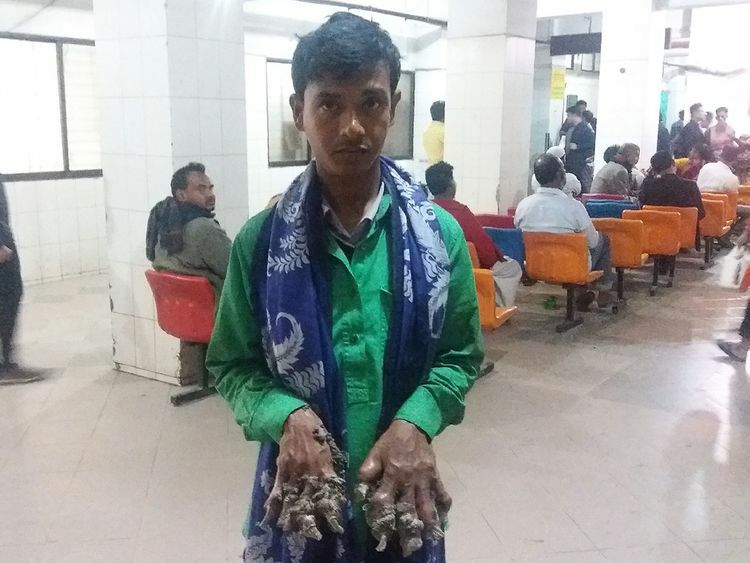 The former rickshaw puller, whose case has made headlines around the world, has not worked in years because the growths have left him unable to use his hands. More than once, doctors believed the 28-year-old was cured, hailing their treatment as a milestone in medical history. But the growths kept returning. Most recently, in May, the condition flared up on parts of his body previously spared and he fled the Dhaka Medical College Hospital without notifying staff. "The growths have sprouted even in new parts of my feet and hands. I made a mistake leaving the hospital, but I hope doctors will be able to cure me fully this time," Bajandar told AFP on Monday. Once-optimistic doctors concede his case is more complicated than previously thought, and are considering treatment options. More tests have been ordered and an emergency panel of doctors convened but Bajandar is almost certainly facing a 26th round of invasive surgery to cut away the growths, his medical team said. "His condition has deteriorated, and I think more surgeries will be required," Samanta Lal Sen, the head plastic surgeon at the hospital, told AFP. The condition has left Bajandar's family - he has a wife and young daughter - destitute and he is treated free of charge by doctors at the hospital, which is the top medical facility in the Bangladeshi capital. His plight has captured hearts around the world, and the government has ordered he receive the best care. Despite the rarity of his condition, he is not alone in Bangladesh. The same Dhaka hospital also treated a young Bangladeshi girl suffering from the condition in 2017. Doctors also declared that surgery a success but her father later said the growths returned in even greater numbers. The family halted treatment and returned to their village. Bajandar does not want to return home, and is desperate for a cure. "I have received love of the countrymen and our prime minister," he said. "I strongly believe someday I will be able to live like a normal man."